Kentucky Derby Travel Tips: Top Five Farms to Visit- Perhaps the only thing as exciting as the Kentucky Derby itself is visiting the farms at which the horses are bred, born, and raised. Lexington, Kentucky, is considered to be the “Horse Capital of the World” due to the over 400 nearby horse farms, and over eighty percent of the winners of the Kentucky Derby have been bred by those Kentucky farms. Here are five of the area’s most prominent farms that provide tours for the interested public. Make the most of your visit to Kentucky for the 141st running of the Kentucky Derby by scheduling a farm tour to see world-class stallions and retired thoroughbreds. If you’re hoping to visit a farm with global influence, look no further than Sheikh Mohammed bin Rashid Al Maktoum’s Darley Farm. Darley currently stands stallions in six countries around the world, including Australia, Japan, Ireland, the United Kingdom, France, and the United States. Jonabell Farm, Darley’s Kentucky location, was originally settled by the Bowman family, one of the first families to settle in Lexington and honored by its present location on Bowman Mill Road. The farm was established as a Thoroughbred farm in 1946 by John A. Bell, and it was purchased by Darley in 2001. Currently, Darley stands fifteen top racehorses and stallions definitely worth visiting. Kentucky Derby winners Animal Kingdom and Street Sense call the barns at Jonabell home, and top sire Medaglia d’Oro resides there as well. 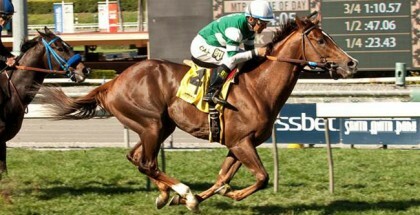 In addition, Elusive Quality, a mainstay of Darley’s breeding program, is located at Jonabell. Many visitors are also drawn to Jonabell to see the final resting place of 1978 Triple Crown winner Affirmed. In order to schedule a tour, simply call or email the farm in advance to reserve a spot at 9:30 each weekday morning. If you happen to have time during your busy Kentucky Derby visit, be sure to visit Darley’s Jonabell Farm for a taste of international racing influence! 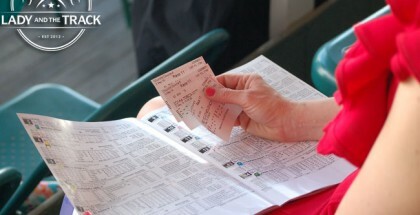 Located a short distance from Lexington in Versailles, WinStar Farm is a well-known name in the horse racing industry. The original 450-acre tract of property on which the farm is located was settled in the 1700s by the Williams family of Virginia, and today the farm has expanded to include over 2,400 acres, forming an extremely large and influential Thoroughbred stallion farm. In fact, WinStar Farm currently stands twenty impressive stallions. Perhaps their most impressive stallion is Distorted Humor, the sire of 2003 Triple Crown hopeful Funny Cide and 2011 Breeders’ Cup Classic Winner Drosselmeyer among many notable others. He has also sired more Grade I winners than all but two other active American sires and has been the only horse to sire winners of each of the three Triple Crown races. Also featured at WinStar are leading third crop sire Pioneerof the Nile, champion sprinter Speightstown, champion sire and Halo-line representative More Than Ready, and Horse of the Year Tiznow. Each of the stallions standing at WinStar deserves mention, and they especially deserve a visit. Tours of WinStar are available on Mondays, Wednesdays, and Fridays at 1:00 each afternoon, but if you’re visiting during the week prior to the Kentucky Derby, do note that WinStar will not be offering the daily tour on Kentucky Oaks Friday. WinStar Farm indubitably warrants a visit from any racing enthusiast interested in the breeding aspect of Thoroughbreds. Another Thoroughbred farm in Lexington that actually formed international breeding influence for Coolmore itself is Ashford Farm. Initially formed in 1912 as a cattle farm, Ashford was slowly transformed into a state of the art stud farm and was purchased by Coolmore, who also maintains farms in Australia and Ireland, in the mid-1980s. In 1982, the farm stood a fresh, new stallion named Storm Bird, the eventual sire of the breed-shaping horse Storm Cat. Due to Storm Bird’s accomplishment along with the successes of other stallions, Ashford cemented Coolmore’s reputation as a worldwide breeding influence. In 1996, Kentucky Derby winner Thunder Gulch retired to Ashford to become the first champion presented by the stud farm, but many more followed, including Hennessy, Tale of the Cat, and Giant’s Causeway. During his time as a prosperous stallion, Giant’s Causeway has achieved three champion sire titles, a feat matched only by forerunners Bull Lea, Nasrullah, Bold Ruler, and Danzig since 1941, making him yet another magnificent Ashford product for the racing world. However, a visit to Ashford will entail much more than seeing one popular stallion. Also standing at the farm are Kentucky Derby winner Fusaichi Pegasus, Champion Two- and Three-Year-Old Colt Lookin At Lucky, and the brilliant sprinter Munnings, just a handful of the fantastic stallions claiming Ashford as their own. Typically tours are only open to the public at 3:00 in the afternoon on weekdays, but due to the expected bustle of Kentucky Derby week, they will be offering tours each day at both 11:00 in the morning and at 3:00. Be certain to call ahead to reserve your spot as there is a limit of about ten people per tour, and enjoy visiting such a special farm of champion makers! A short drive northeast of Lexington, Claiborne Farm is located in Paris, Kentucky. Claiborne Farm has been operated by members of the Hancock family since its establishment in 1910 by patriarch Arthur B. Hancock, making it one of the oldest horse farms to remain under a single family’s management. A stalwart of the Thoroughbred racing industry, Hancock and Claiborne made great contributions to the American breed by the successful importations of famous sires Sir Gallahad III and Princequillo, and the farm also stood stallions of unmatched quality such as Mr. Prospector, Nasrullah, Bold Ruler, and Round Table. The influential farm boasts of an exorbitant amount of accomplishments in some of the most prized races with 22 wins in the Kentucky Derby, 19 wins in the Preakness Stakes, 22 wins in the Belmont Stakes, and 29 Breeders’ Cup wins by Claiborne stallions and their progeny. 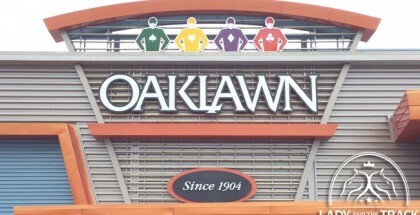 When asked what makes Claiborne attractive to visitors, Claiborne associate Allison Hancock replied, “A lot of people like to come to Claiborne to see Secretariat’s burial site. If they’re here for other reasons besides Secretariat, it’s because they’ve heard of Claiborne and our rich history since we are 105 years in existence.” Currently, the farm stands top sire War Front, 2013 Kentucky Derby winner Orb, and 2010 Eclipse Champion Older Male Blame. Tours of the farm are certainly worthwhile and offer visitors views of the breeding shed, the farm’s stallions, and the cemetery. Walking tours are by appointment only each day at 10:00 a.m., and the tour typically lasts forty-five minutes to an hour. 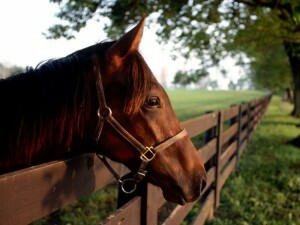 Stopping by Claiborne Farm would undoubtedly serve as a perfect complement to your Kentucky Derby trip! While it is certainly atypical from the other farms surrounding Lexington, Old Friends is a special place that must not be overlooked by racing fans. The non-profit Thoroughbred Retirement Center of Old Friends is located in nearby Georgetown and provides a haven for retired racehorses. The creation of the sanctuary was prompted by the undeserved abattoir death of Kentucky Derby winner Ferdinand, and since 2003 Michael Blowen’s ultimate goal has been to provide a home for racehorses either retired from the track or pensioned from stud duty. Initially a one-paddock farm housing two such horses, Old Friends has since expanded to cover 136 acres at its Georgetown location with another branch housing retirees in New York. More than 150 horses have been cared for by the gracious hands at Old Friends, including a myriad of champions and popular runners. Among such remarkable horses are Gulch, the 1988 Champion Sprinter, dual Whitney Stakes winner Commentator, and Rapid Redux, the North American record holder of most consecutive victories with 22 wins. 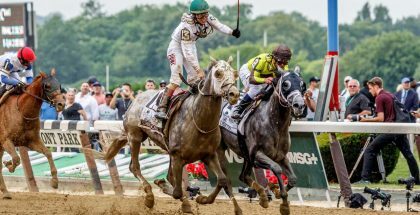 More recently, Old Friends has adopted three-time Santa Anita Handicap champion Game On Dude, and they were also able to retrieve 1997 Kentucky Derby winner and Triple Crown near-miss Silver Charm from pensioned stud duty in Japan in December of 2014. The arrival of Silver Charm has certainly increased the number of 20,000 visitors who visit Old Friends annually, and fans are welcome to visit the farm for tours where they will be able to visit with many of the horses who call Old Friends home. Tours are available each day at 10:00 a.m., 1:00 p.m., and 3:00 p.m., and to schedule a tour you must call the farm and reserve your spot at one of the specified times. The $10 fee for adults and children 12 years of age and upwards goes to support the care of the horses living out their days at Old Friends, and there are a variety of other ways that fans can support the farm, too. If you happen to be visiting around Derby time, Old Friends will host a fundraising event referred to as the “First Sunday in May” the day after the Kentucky Derby. Tickets for the event are $25, and the fundraiser provides fans with the chance to visit at the farm for an afternoon filled with food, live music, and certainly good company. Regardless of how you intend to contribute to the upkeep of the wonderful establishment of Old Friends, be certain to visit this gem of the horse racing industry to check out some of racing’s old pals.